"The Roman Empire is the term conventionally used to describe the Ancient Roman polity in the centuries following its reorganization under the leadership of Octavian (better known as Augustus), until its radical reformation in what was later to be known as the Byzantine Empire. Roman Empire is also used as translation of the expression Imperium Romanum, probably the best known Latin expression where the word "imperium" is used in the meaning of a territory, the "Roman Empire", as that part of the world where Rome ruled. The expansion of this Roman territory beyond the borders of the initial city-state of Rome had started long before the state organisation turned into an Empire. One of the first historians to describe this expansion of the Roman territory was the Greek Polybius, writing in the Epoch of the Roman Republic. In its territorial peak after the conquest of Dacia, the Roman Empire controlled approximately 5,900,000 sq.km., or 2,300,000 sq.mi. of land surface, being the largest of all empires during classical antiquity. In the centuries before the autocracy of Augustus, Rome had already accumulated most of its territory beyond the Italian Peninsula, including former Mediterranean competitors Syracuse and Carthage. In the late Republic Augustus (then still "Octavian") added Egypt definitively to the Imperium Romanum. The remainder of this article treats the Roman Empire as Imperial state (see Roman Kingdom and Roman Republic for development of the territory in earlier times). Augustus' reforms turning the Roman state into an Empire survived mostly unchanged until the Diocletian reform at end of the 3rd century, which turned the empire into a tetrarchy. While the political form given by Diocletian was short-lived, it led to the division of the Empire into two halves. This allowed Roman rule to continue for two more centuries over the whole empire, although divided into the Eastern and the Western Roman Empire. The end of the Western Empire is traditionally set in 4 September 476 AD, as the Germanic chieftain Odoacer forced the abdication of last Western Emperor Romulus Augustus and sent the Imperial insignia to Constantinople; henceforth Odoacer ruled nominally as dux on behalf of Constantinople. After another millennium, in 1453 AD, the Eastern Empire, better known as the Byzantine Empire, fell to the Ottoman Turks. From Augustus to the Fall of the Western Empire Rome dominated the region of Western Eurasia, comprising over half its population. The influence of the Roman Empire's on the culture, law, language, religion, government, military, and architecture of the Western civilation remains inescapable. The Greeks adopted the Roman name in the Middle Ages and were known as Romans, a trend that survives until today in Greece, a result of their cultural position (see Names of the Greeks). Roman titles of power were adopted by most of the successor states and later entities with imperial pretensions, including the Frankish kingdom, the Holy Roman Empire, the Bulgarian Empires, the Russian/Kiev dynasties, and the German Empire." 1. the lowest class were the slaves, who, basically, were considered property and had no rights whatsoever. They could be sold, tortured, maimed, raped and killed at the whim of their owners. 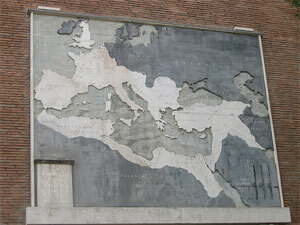 2. the allies of Rome and the natives who lived in territories conquered by Rome were given partial citizenship. Some had the Latin Right but there were many other "rights". 3. the Roman citizen, Roman citizenship could be stripped by the state for several reasons (like debt) but this was only exceptionally done. Women were a class completely apart, for while they had most of the rights of their parents and of their husbands, no Roman woman could vote and in many legal aspects were little better than slaves. * Roman citizenship was granted automatically to every child born in a legal marriage of a Roman citizen. * People who were from the Latin states were gradually granted citizenship. * The children of freed slaves became citizens. * A Roman legionary could not legally marry, therefore all his children were denied citizenship, unless and until the legionary married their mother after his release from service. * Some individuals received citizenship because of their outstanding service to the Roman republic (later, the empire). * One could also buy citizenship, but at a very high price. * Auxilia were rewarded with Roman citizenship after their term of service. Their children also became citizens and could join the Roman legions. * Rome gradually granted citizenship to whole provinces; the third-century Constitutio Antoniniana granted it to all free male inhabitants of the Empire. * The right to vote in the Republic. * The right to make legal contracts. * The right to have a lawful marriage. * Citizens couldn´t be submited to torture. * The right to have a trial (to appear before a proper court and to defend oneself). * A Roman citizen couldn't be sentenced to death unless he was found guilty of treason. If acused of treason, a Roman citizen had the right to be tried in Rome. * Even if sentenced to death, no Roman citizen could be sentenced to die at the cross. (Despite being found guilty of the same crime St. Paul, was beheaded. St. Peter on the other hand, not being a Roman citizen, was crucified.). * Roman citizenship was required in order to join the Roman legions, but this was sometimes ignored. The granting of citizenship to the conquered and the allies was the final step of Romanization which was one of the most effective political tools and (at that point in history) original political ideas (perhaps one of the most important reasons for the success of Rome). * Alexander the Great had tried to "mix" his Macedonians and the Persians, Egyptians, Syrians, etc in order to assimilate the people of the conquered Persian Empire, but after his death this policy was largly ignored by his succesors. 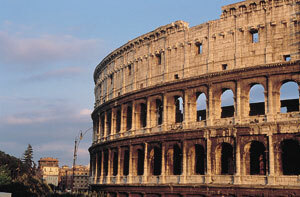 * The idea was to assimilate, to turn a defeated and potentially rebelious enemy (or his sons) into a Roman citizen. Instead having to wait for the unavoidable revolt of a conquered people (a tribe or a city-state) like Sparta and the conquered Helots, Rome made the "known" (conquered) world roman. * After 212 AD, all freemen in the Empire were granted citizenship by a imperial edict (the Constitutio Antoniniana) of Emperor Caracalla. * All these rights were (as everywhere down the ages, and even today) sometimes ignored. The definition of the crime "treason" varied largely from emperor and his goverment to another emperor."